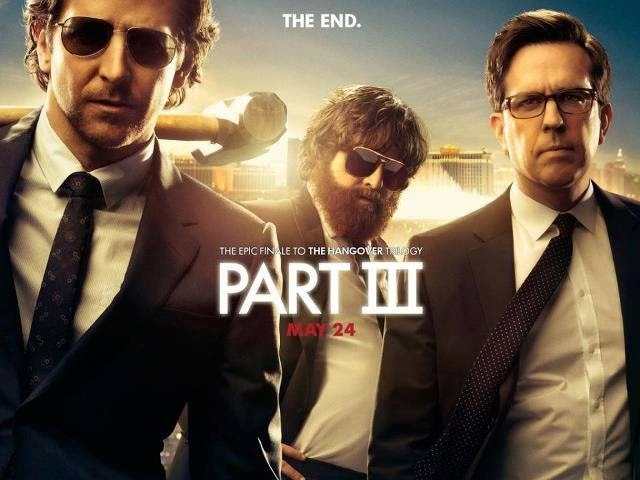 The Good: Zach Galifianakis shined again as Allan, and the rest of the Hangover cast delivered as well. A lot of the funniest parts are the quick banter or one liners that you have to listen for. The comedy will kick off from the very beginning. Also it's really nice how they wrapped up the entire trilogy by creating a lot of nostalgic moments with their references to the previous 2 movies. Ed Helms' reactions to things will probably reflect your own feelings in certain scenes. The Bad: Expectations from viewers are going to be the biggest decisive factor. This wasn't the funniest of all the movies, and there were some points where the movie just went through the motions so to speak. Ken Jeong (aka Mr. Chow) just seems like a tired character at this point. You know, where the comedy is kinda forced because they're a part of the story and they HAVE to do something with him. The Reason: The biggest question you'll have with this movie is "Does it make up for part 2?". The answer to that is yes. Part 3, to me, is what Part 2 should have been, while part 2 should have just been burned. Part 1 was hilarious because it was 1.) Unexpected extreme comedy and 2.) Allan just kept getting unexpectedly dumber and dumber. The reason why part 2 failed was because the "extreme comedy" just went over the top. We expected "extreme" and that's what they gave us...but then too extreme just isn't funny anymore. So while part 3 does have a few extreme scenes, overall it's a bit milder. I think that with Fast and Furious 6 coming out this weekend, you should go see this if you're in the mood for a comedy. It won't disappoint, but by all means, you can also save this for a good rental too. Oh and stay for the ending credits for the bonus scene.